This surgery is meant for reconstruction of ear. 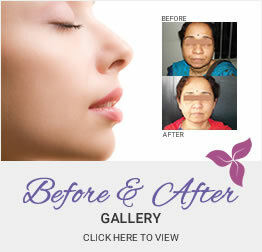 Otoplasty (shaping of the ear) sculpture is designed to correct deformed or protruding ears. It involves moving of live tissues to the required domain of surgery. In adults of all ages, protruding ears are frequently unsightly and can even lead to unhappiness with appearance and the inability to select hairstyles. The result of this surgery is immediate, often dramatic, and very rewarding to both the patient and surgeon. The multiple elements of this surgery include external ear (pinna), which is remolded by placing small incisions behind the ear then reshaping or trimming the cartilage to define how and where the ear bends. Placing the ear in the proper aesthetic position achieves natural balance between the various elements of the ear. Otoplasty procedure typically involves a small incision at the back of the ear, at cartilage from thoracic cage and is placed under the temporal flap, which is then treated through skin graft. Fine sutures are placed to hold the ears’ new position during healing. Compressive dressings are then applied to both protect the surgical site and to help hold the ears’ new shape during recovery. Scar lines are located behind the ear and are not visible after recovery. After the surgery, patients are typically required to wear a head dressing. This helps to reduce swelling and protect the ears as they heal. After 3-6 days, the dressing is removed and replaced with a sweat band. Stitches are usually removed about 7-10 days after surgery, although dissolvable stitches may also be used. You can go home the evening after the surgery, although it is strongly advised to avoid placing direct pressure on the ears.